A cold Siberian wind has been blowing since last night. We left for some Holiday parties while the temperatures were in the 60s. Fortunately we had watched the weather forecast and brought our coats! It's quite nippy today and that wind is still blowing. It's going to be fun trying to put some sheets down on tender plants this evening! They're predicting a low of 19 F tonight but if this wind doesn't stop, it won't get that cold. 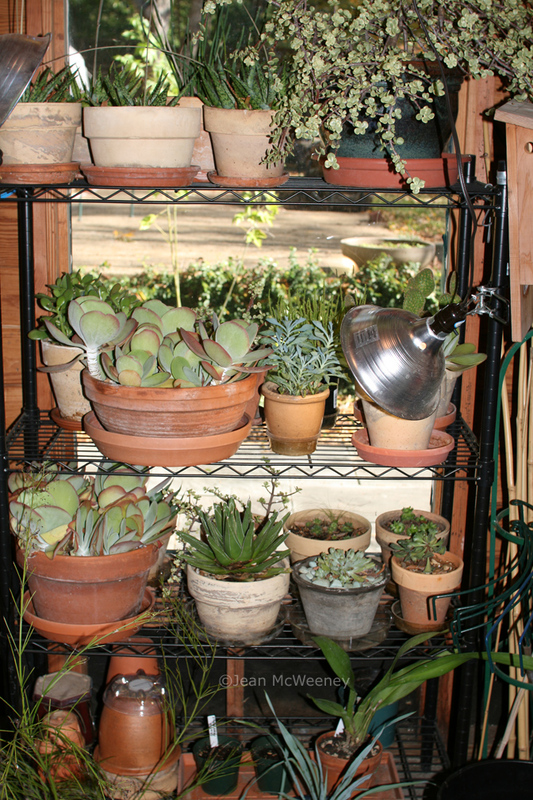 I spent some time this afternoon ensuring my plants had a warm place to stay. This agave is not the cold-hardiest of plants, so it moved to the greenhouse with my husband's help. My succulents have been in the storeroom/potting shed for quite a few weeks now. They seem to be doing fairly well although they're a bit crowded. Since I don't think the window provides enough light, I have two little growlights on this side of the shelves, just for a little something extra. While my northern gardening friends have put all their gardening to bed for the winter, I'm still gardening on. 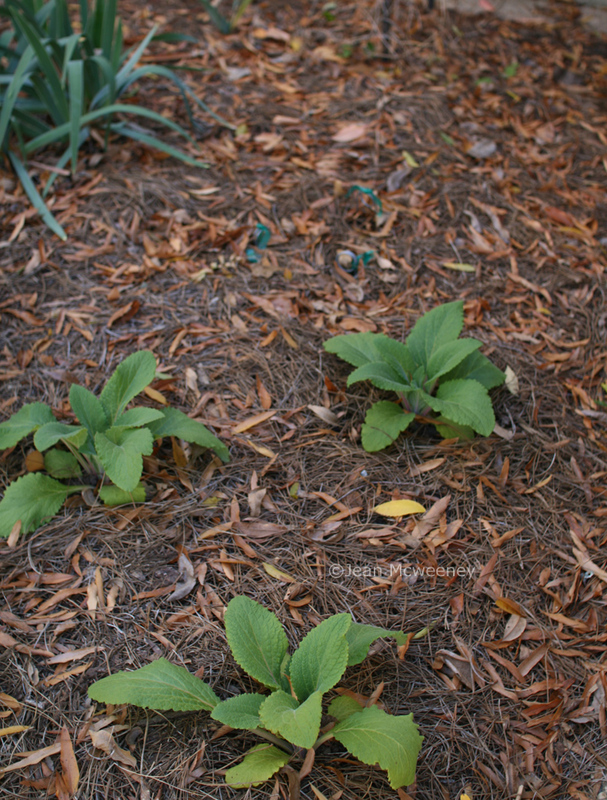 Last week I planted these foxgloves, my first try at foxgloves ever. These are the Camelot series, designated a 2010 Louisiana Super Plant. I do hope they will look as gorgeous in spring as they do in my mind right now! 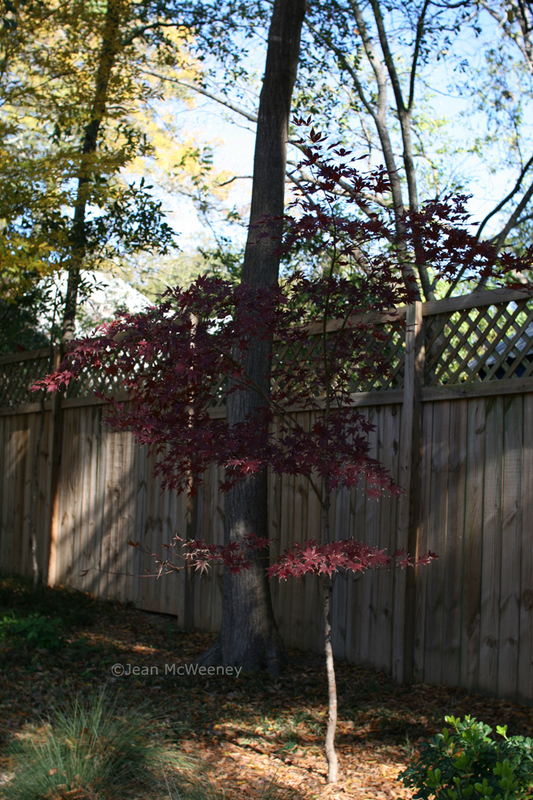 This isn't the best photo I've ever taken of this tree but hopefully you can see the lovely red color my 'Bloodgood' maple finally has. It's been a great tree and it looks like it survived the early spring gnawing the squirrels gave it this year. I waited and waited for my ghost pepper plants to put on some peppers. I planted these guys in late March from seeds I collected from my brother's plants, they flowered several times throughout the growing season, but they didn't put on any peppers until mid-November! I'm surmising they weren't really meant for growing in Zone 8a! These peppers, also known as bhut jolokia, come from India. My brother sells an award-winning salsa made from ghost peppers, thought to be the hottest peppers in the world at over one million Scoville units! That's one way to stay warm! I hope your garden fares well this winter. For 3 days now, Weather Underground has been predicting a low of 29 for us. I see they lowered that to 25, possibly because the wind has died down. I'll be surprised if it really gets that low! 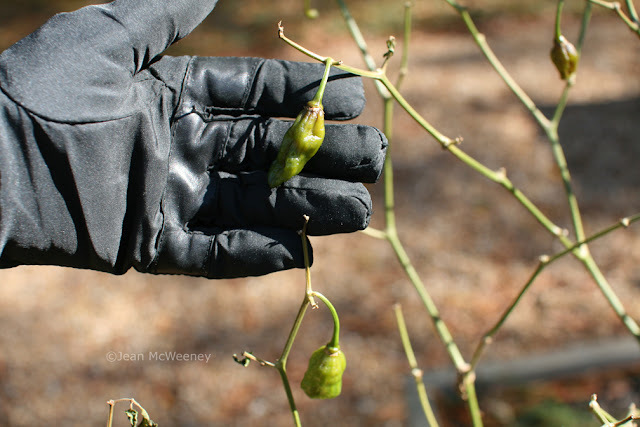 I'm glad you're wearing gloves to touch those peppers--that sounds way too hot for me! The Siberian wind must be blowing everywhere, but here it's blowing snow as well in almost blizzard-like conditions--all the schools are closed today. 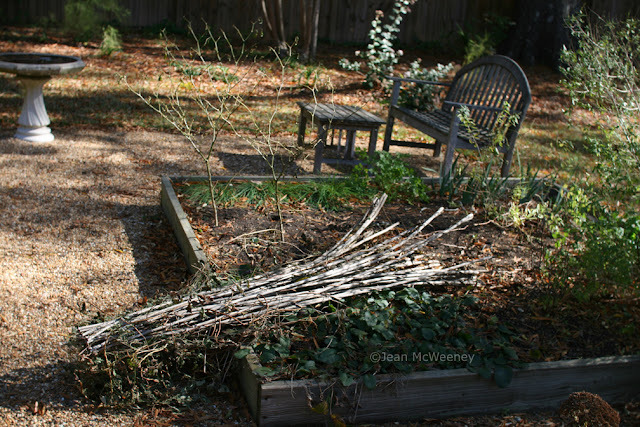 But I know such cold is especially hard on your garden that is used to much warmer temps; I hope your garden can tough it out. Those foxglove look so healthy and such a promise of spring! I believe it got down to around 15 here last night. The wind chill is what is worse though - it is quite frigid. 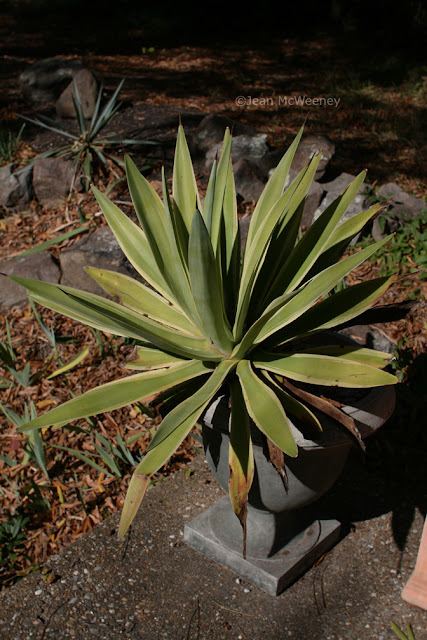 I hope your agaves survived. They are beautiful! Jean - I'm stunned that it gets that cold down there. This morning it was 12 degrees here at 7 am, just about the coldest we've had so far. Sunday it was 45 degrees and pouring. I am jealous of your being able to continue gardening Jean! Your succulents look so happy and beautiful . . . they create a lovely environment. I love your Agave too! Happy Gardening!